Break into the publishing industry. Do a job you’ll really enjoy. Book during April to save up to £170 on Chapterhouse correspondence courses in copy-editing and proofreading. There is huge demand for trained proofreaders and copy-editors, with well over 200,000 hard copy books published annually in the UK, along with millions of brochures, catalogues, websites, reports, and magazines. Chapterhouse has been training newcomers to proofreading and copy-editing for over twenty-five years – longer than any other company. We give our students the best possible chance to succeed in editorial work. And don’t forget, if you’re a would-be author, e-book authors increase their chances of becoming bestsellers by being properly copy-edited and proofread. FROM OUR RECENT POST – it’s great to hear good news from a former student! I don’t think I ever let you know the successes your course has brought me! It was a LONG time ago, when I had just retired from teaching and I did your residential course in Exeter. I built up a part-time free-lance business – and then got offered a 5 year job at was then UKERNA (now JANET). … they added to my skills with courses on web design and maintenance, and digital photography. I have retired again but still work voluntarily – building websites for myself and organisations, copy editing for the local NHS Trust, and developing my photography alongside my passion for mixed media textiles, ‘photoshopping’ my own photos and incorporating them in my embroidery – just took a first at a local art exhibition. And all because I took your course! I found the ‘How to get work’ section at the end of the course really helpful. The most important effect you have had is that the local NHS Trust now has a style sheet and a work instruction for producing documentation for public distribution. … Chapterhouse – you probably save lives!!!! … my documentation experience has helped me do the PowerPoint presentation and judges’ portfolio for our local community’s entry into East Midlands and Britain in Bloom. This year we won our class in the region and got a gold Award at national level. What do proofreaders and copy-editors do? What do copy-editors do? The copy-editor works in detail on a book, before it’s designed and prepared for printing. Copy-editing involves improving the book and making it the best it can be, as well as finding all the little mistakes. Copy-editing is a broader job than proofreading, and copy-editors are usually paid slightly more. What do proofreaders do? The proofreader is the detail spotter who weeds out the last-minute errors (typos, spellings, punctuation) before the book goes into print but doesn’t make substantial changes or rewrite the material. Many people work both as copy-editors and as proofreaders, and often non-publishing clients (such as charities, businesses and other organisations) want a mixture of proofreading and copy-editing. Proofreading and copy-editing are both usually done by freelancers who work from home. Some students prefer to study at home at their own pace, and our correspondence courses have manuals with lots of exercises and model answers for self-assessment, plus additional free exercises which can be sent in for detailed marking and feedback by our tutors. Chapterhouse offers two different correspondence courses: the Proofreader Plus Course covers proofreading, and the Proofreading and Editorial Skills Course deals with both proofreading and copy-editing. Chapterhouse correspondence students have up to a year to complete the course. Book during April to save up to £170 on Chapterhouse copy-editing and proofreading correspondence courses. Run by Senior Tutor Tom Richards, Chapterhouse face-to-face seminars are warm and informal, with emphasis placed on group work and graduated exercises. We also give students as much personal attention as possible, and everyone enjoys the courses while learning a huge amount in a short time. Our four-day seminars cover both proofreading and copy-editing, while for students wanting an express course in proofreading, we have one-day seminars. 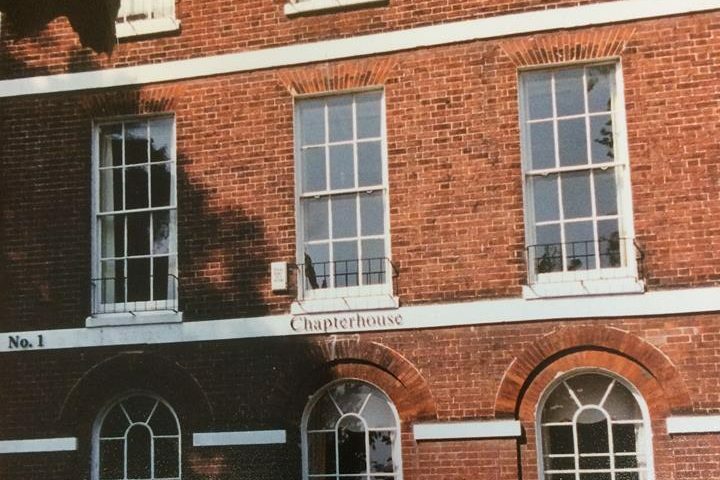 Chapterhouse seminars are held in 2019 at Monticello House in Russell Square, London. Book now for June 2019 Chapterhouse proofreading seminar!